Installed environment. 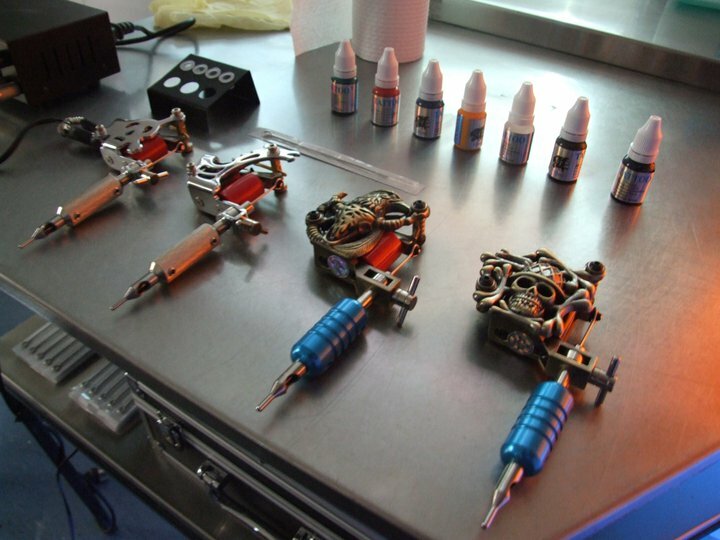 Tattoo equipment, sound, projection element, furniture. featured in - Stigma Research Laboratory (SRL). John Vella, Philippa Steele, Scot Cotterell. 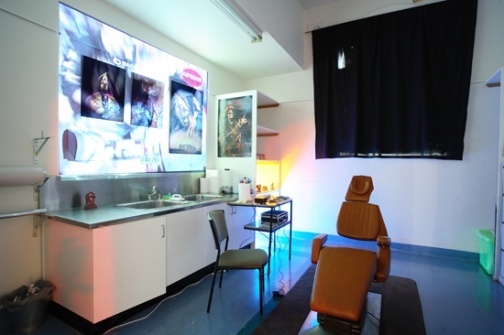 The Stigma Research Laboratory (SRL) is an innovative arts-based strategy challenging the stigmatised status of disadvantaged housing neighbourhoods. The project is based in Hobart, and is potentially a prototype for interventions challenging housing stigma in other parts of Tasmania and Australia. 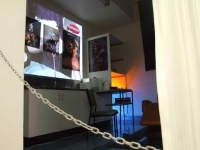 The Housing and Community Research Unit at UTAS has partnered with the Tasmanian School of Art, Contemporary Art Services Tasmania (CAST) and the Moonah Arts Centre. 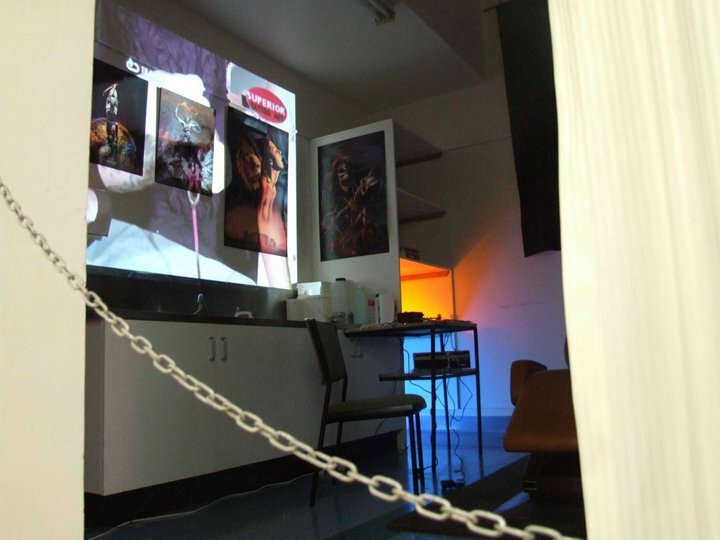 Work has been commissioned from three Tasmanian visual artists, and developed in consultation with disadvantaged housing communities, for site-specific exhibition/installation. 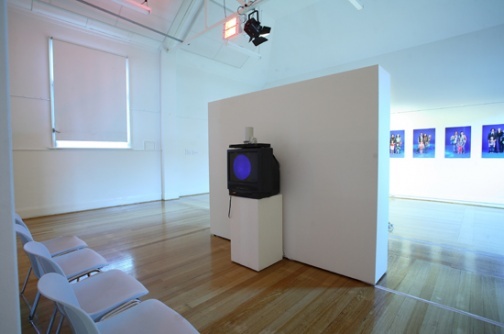 The creative team is led by John Vella, currently Head of Sculpture at the Tasmanian School of Art. John's diverse work tackles humour, beauty, status and cultural anxieties, and has been exhibited locally, nationally and internationally. His recent projects include SCAPE for Hydro Consulting (with Scottish artist Stephen Hurrel), and FUME at Devonport Regional Gallery. The other participating artists are media artist Scot Cotterell, who works across the fields of installation, live audiovisual composition, moving and still imagery; and Philippa Steele, a young installation artist who is also co-founder of the new art firm Backstory.